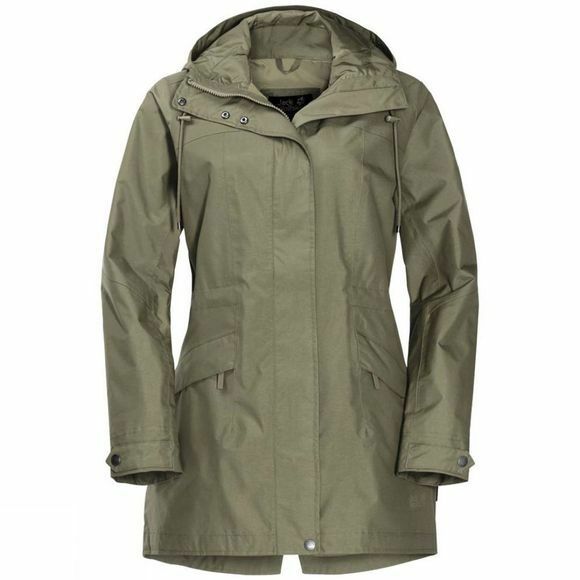 Designed to keep you dry on urban outings or country walks, the Womens Cameia Parka is a simple, robust weatherproof jacket with a slightly longer cut. The Texapore outer fabric feels like cotton. A draw cord at the waist allows you to trim the fit for a more feminine silhouette.